Out of the box this cube was already really good. It's very fast and smooth, but the corner cutting is not quite on par with many modern cubes and it does lock sometimes. I didn't have a single corner twist however and pops are extremely rare. Has a very scratchy feel to it. The corner cutting is okay but not the best. It's okay in the fast category also. This cube is a classic and was one of the best at it's time, many records were broken on this cube but today it would not be able to keep up with the 4 second solve records. If you are new to cubing this would be great to get a feel for this cube and add it to your collection, but again not record breaking material. The Zhanchi is still a great puzzle even though it came out in 2011. Before I lubricated it, it was nowhere near comparable with the performance of modern speed cubes. After lubricating the core with Wt. 5 and the pieces with Wt. 1, I am very pleased. The cube can do U2s in one flick just as most modern speed cubes. The Zhanchi can corner cut 45 degrees, but can only cut about 1/2 a piece reverse which can lead to some slight locking and popping if you go a bit over. Because the cube does not have squared off corners, it will corner twist, but rarely. Overall I really like the Dayan Zhanchi even though it might not be the best cube anymore. 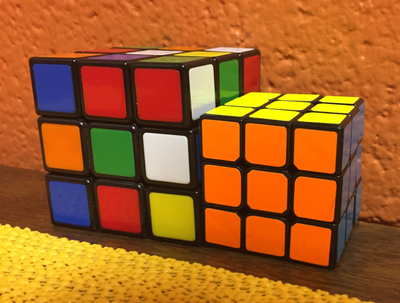 This cube is quite exceptional -- it never locks on me, never has any corner twists, and has great corner cutting (45 degrees normal, about 35-ish reverse). It pops on me sometimes, but not that often (I tension it quite loosely; my friend, who solves quite aggressively, has found that it pops a lot for him). Overall, this cube is very, very nice. This is a great cube, however the turning is a little slow, but smooth. Taking this cube out of the box, the tensions are loose and it has a decent amount of lube in it, meaning that pops are bound to happen. After breaking it in, I tension and lube it. This makes the cube slow until breaking it in again, then it gets faster but not too fast. It becomes very controllable. The corner cutting is 45 degrees or more, depending on your tensions. I have NEVER had a corner twist on this cube. I like this cube and it was the first cube I ever owned, lubed , and tensioned. Therefore this review may not be very accurate, but this is still a great cube and I would recommend it for beginner speed cuber, but it may be a bit slow for an expert. I give this cube a 3/5. So this cube arrived and I was excited because it was a Zhanchi, but I was disappointed because it popped so much! I tried tightening it, but that didn't help and now it constantly pops. There are also some locking issues, but it was definitely an innovation for its time. 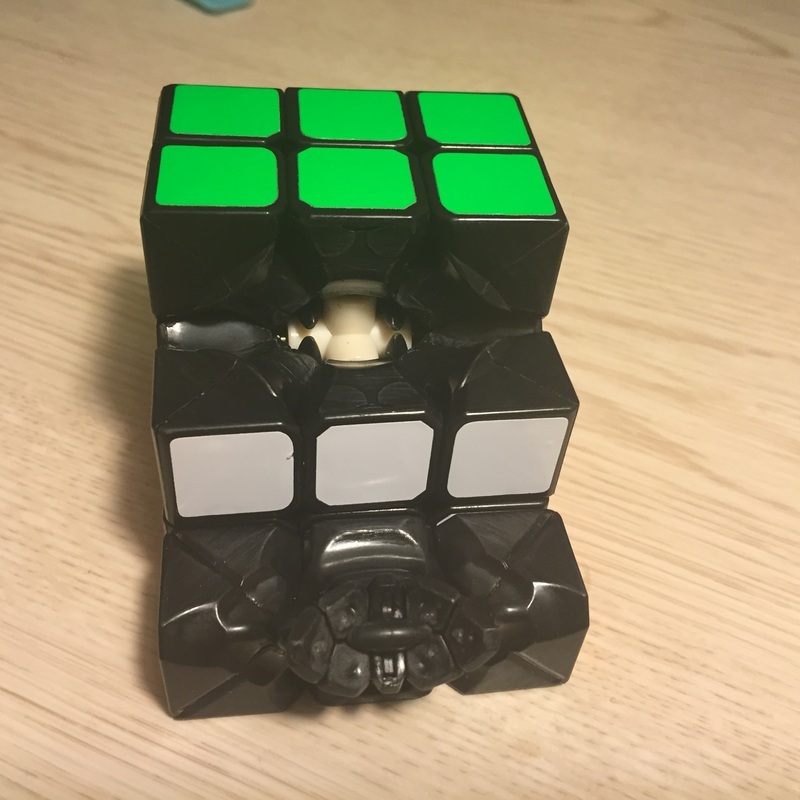 A great "1st speedcube" for sup50 speedcubers which is decent enough at that stage but pops and corner twists are really annoying. I have had my Dayan for about a month and being my first speed cube I was amazed at how it compares to by Rubik's and it has help me improved my times heaps to about sub-25. Corner cutting is great. It has no corner twist at all. It is smooth and has a blocky/crispy feel. But the only problem is the popping. Even on tight tensions it still has pops one out of every hundred or so solves, but still overall I would still recommend the Dayan Zhanchi. In my opinion, this cube is better than most of the newer cubes coming out lately. It is incredibly fast, and a bit faster than the Guangying. It has a very nice smooth, and crispy feeling. It fits my turning style well, because I barely force it when I turn a side, this turns very lightly. I would recommend this to anyone willing to buy another speedcube. The Dayan Zhanchi is still of the best cubes on the market today. Out of the box, it is very fast. The feeling of it is very crispy. The sound is quiet, but not as quiet to a Gans 356. The corner cutting is perfect being able to cut 45 degrees. Plus there is not that much corner-twisting occurring. However, the cube does have a tendency to lock up when it does not turn fully. Plus, that would lead to popping. When comparing it to the MoYu AoLong V2 and Gans 356, the Zhanchi lies just below the 356, but over the AoLong in my opinion. Regardless, this cube is perfect for people getting into speedcubing with a reasonable price tag, and speed out of the box. Overall, I am happy that I bought my Dayan Zhanchi. The Zhanchi is a good cube. It is an older cube but is great for beginners. The cube is very controllable and almost never overshoots. It corner cuts 45 degrees and reverse corner cuts almost a piece. It only locks up when you aren't finished turning a layer. The cube never corner twists. Popping can be an issue on loose tensions. The cube is sort of expensive at 12$ off The Cubicle. It is an overall good cube. When I first opened up my Dayan Zhanchi, I was very excited for my first speed cube. The first turns were decent, but not as good as I had expected. Once lubed and tensioned, the cube was amazing. The cube barely locked up or popped and the speed and corner cutting was amazing. The cube could cornercut about 50-55 degrees after lubing and 40-45 before lubing. The cube is amazing and I highly recommend it. When I first got this cube it was a bit slow and had a bumpy feel. After playing with some tensions and internally luring it the cube was amazing. It was extremely smooth which I liked but had some lockup problems. Sometimes I am not able to do algorithms without it locking up which increase my time. Also this cube does pop on me about every 15-20 solves. There is one torpedo missing and I'm not sure if that's the problem or it's me or the tensions. This is a great cube and it is a very good cube for beginners but also anyone. I recommend this cube for beginners and people who like smooth turning but the cube does Need some work at the beginning. The DaYan ZhanChi was a very SMOOTH and FAST cube out of the box. It was like a god's cube. But as soon as I got into searching the Gans cubes and the MoYu cubes I got into a little bad feeling and I also bought a I don't know cube(I don't know the name but it's good) but that was my main after all and I am only a little happy with it. Looking forward to buy a Hualong or a Gans 356. 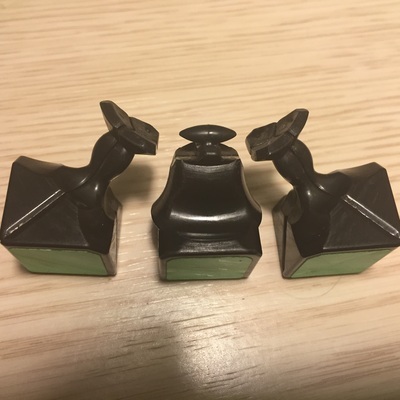 Very versatile cube, can be used for 3x3, OH, feet, etc. A must have. I've had the Dayan Zhanchi for a little over 2 years now. When it came out, it was widely considered to be the best cube in the market. Out of the box, the cube required a fair bit of lubing and tensioning, but once it was broken in, the cube functioned really well. However In today's market, the corner cutting isn't really impressive, and the cube locks up very often. In over 2000 solves, I've never gotten a corner twist, and only a few pops, which is a huge plus. In conclusion, I find it rather hard to recommend this puzzle. It's definitely a good cube, but compared to all the other 3x3s out now, the Dayan Zhanchi is a bit sub-par. It pops a lot. Moyu is a better choice in general. Compared to new cubes out today the Zhanchi is a bit lacking. You will need to do a bit of set up. There was a lot of flashing to remove. You need to remove the flashing on the corner pieces because the torpedoes will rub against them. Even after all of the set up there is still a bit of catching. If you like more squared off cubes I would recommend the Weilong. The Zhanchi is a good cube but not amazing. This is the cube that stormed the cubing community all that time ago - The Dayan ZhanChi. While better designs have been produced, a lot of people (e.g. Me) still love the airy and fast feel of the ZhanChi. Personally, I love this cube. However, quality control isn't that good, and on VERY loose tensions it tends to explode. But on VERY tight tensions. Or if you take the torpedoes out. I own both the 55mm and 42mm versions. They are very fast and smooth after breaking in. I love the feel of it, but there is slight catching on the 55 which sometimes ruins my solve times. The very cubic feel is nice and reminds me of when I first started with my Rubiks brand.